Choppy surf and stormy conditions this morning at the Pier. The wind is out of the NE and the surf is in the waist to chest high range. 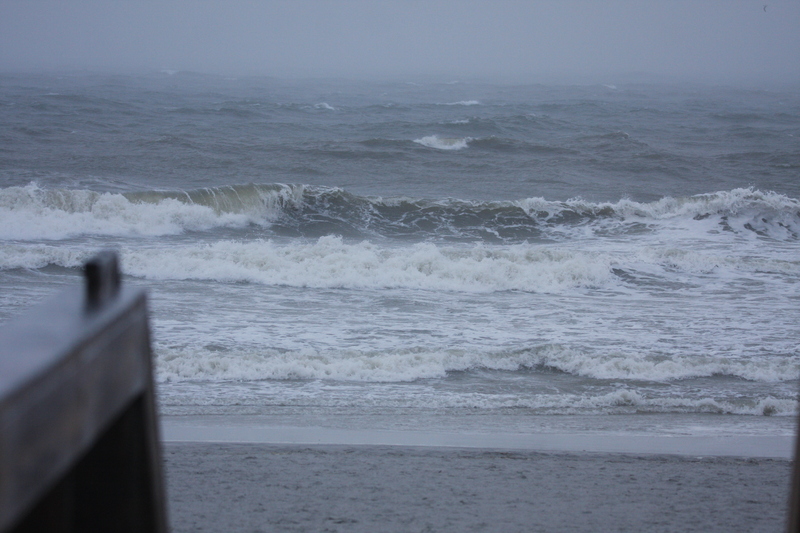 The current is sweeping down the beach and the tide was high at 7:58am. Low tide will be coming up at 2:12pm. Volcom Beach Clean up is happening today from 5-7pm at the Pier. Come lend a hand and Keep Our Beach Clean!